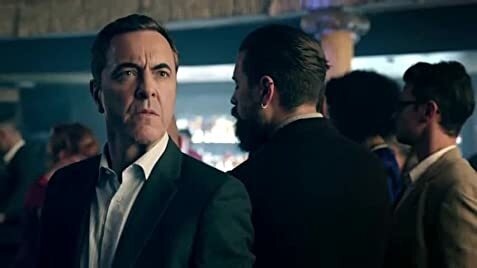 I like James Nesbitt so that is always a good start. I am a 38 year old female and I never thought I would be watching this many comic book based shows. I also love sci-fi, so those are the type of super hero shows I will watch. The Flash, Marvels Agents of Shield, Legends of Tomorrow and now this one. That is a lot of comic book super heroes for a 38 year old. My teenage son does not even watch these shows. He just likes the big movies with the characters. This one could be a good one. Need to see more episodes. They did the set up in the pilot well. We get the premise and it was fun to see James Nesbitt get to be flash and daring. The boat chase at night on the water was beautiful. I am not sure where they actually shot that, but it looked great, except the really obvious tacky green screen shots with James and the other cop in the boat, that was bad. Worth checking out for sure so far. Update-2018- We are now on Season Three. This show has met my expectations and is one of my favorites. Interesting stories and great cast. Season three is my favorite so far. Watch this is you can get it where you live. Hopefully it will go to a streaming service where more people can see it eventually.